Will Strath's Sophie Taylor, 2018 Women's MR Champs bronze overtake veteran Ali Mo (Women's silver nedallist)? Or will Edinburgh's Miles Jones & Co turn their recent BKA lead amongst unis and their first international MR experience at Medemblik into an outsider win at the Ceildh? 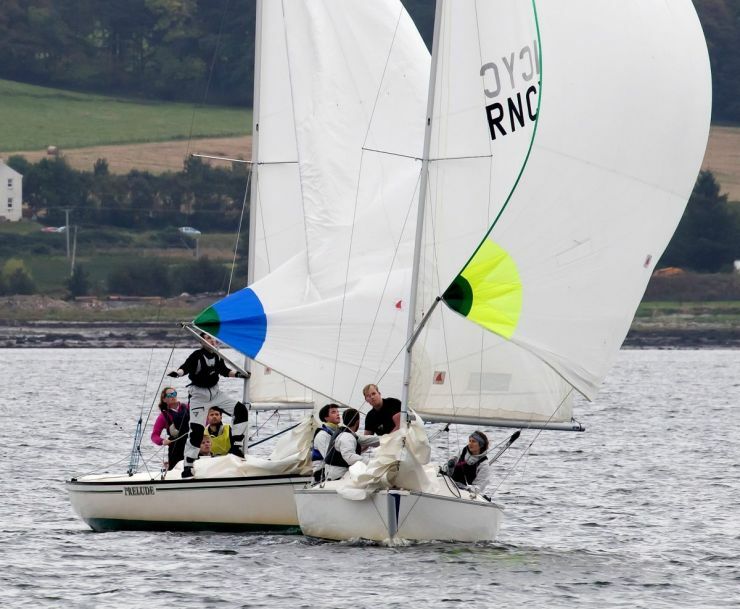 The Royal Northern & Clyde Yacht Club's Ceilidh Cup, incorporating the Scottish University Sailing (SSS) Match Racing Championship 2018, will be held at Rhu. This is Scotland's only match racing event, where competitors face each other in a round robin of one-on-one races in the Club's identical Sonar yachts.It forms part of the RYA National Match Racing Series, the winner automatically qualifying for the finals to be held in Weymouth on 16 – 18 November. The event is held in association with Scottish Student Sailing (SSS) and, therefore, welcomes eligible University teams to compete for the SSS prize. Indeed, the Ceilidh Cup is the first competitive competition in the SSS annual calendar and offers teams an early opportunity to trial helms and crews for match racing and keel boating competition throughout the academic year. See RNCYC Organiser, Craig Macdonald's Event Preview.